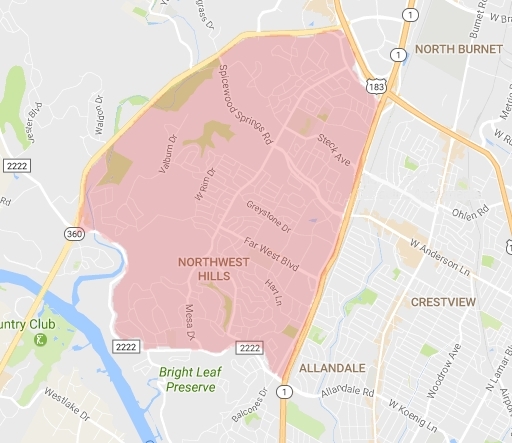 The Northwest Hills/Far West neighborhood is no doubt one of North Austin’s most coveted communities to live in- and it’s not hard to imagine why. Unique, custom-built houses, lush and mature trees and sweeping hills, coupled with fantastic surrounding schools makes this neighborhood a virtual paradise to live in for families looking for a true Hill Country feel. Great for outdoor enthusiasts, Northwest Hills/Far West encompasses the Bull Creek Greenbelt and District Park, which offer miles of trails, watering holes and waterfalls; and being adjacent to Lake Austin offers up many opportunities for water-based entertainment. This neighborhood is great for the commuter as well- easy access to Mopac and 360 make it attractive to college students and established families alike who yearn for the quiet solitude those sweeping green hills provide. Keep an eye out for deer! I hesitate to make this recommendation because I love Saffron so much, I almost want to keep it to myself. Tasty, authentic Indian food is incredibly hard to come by, and that’s what makes this charming little spot such a treat. Although the ambience may be simplistic and casual, the main event, the FOOD, is no slouch- with Indian/Napalese inspiration in every menu item. Not to mention the service- I believe that nearly everybody who works there interacts with every table, and the owners are some of the hardest working and friendliest people you could hope to meet. Very affordable and very filling, you’ll be dreaming of this place until the next time you come back! Side note: It’s BYOB, so stop by the wine shop a few doors down and pick up something to compliment your meal and to quench that magnificent spice.